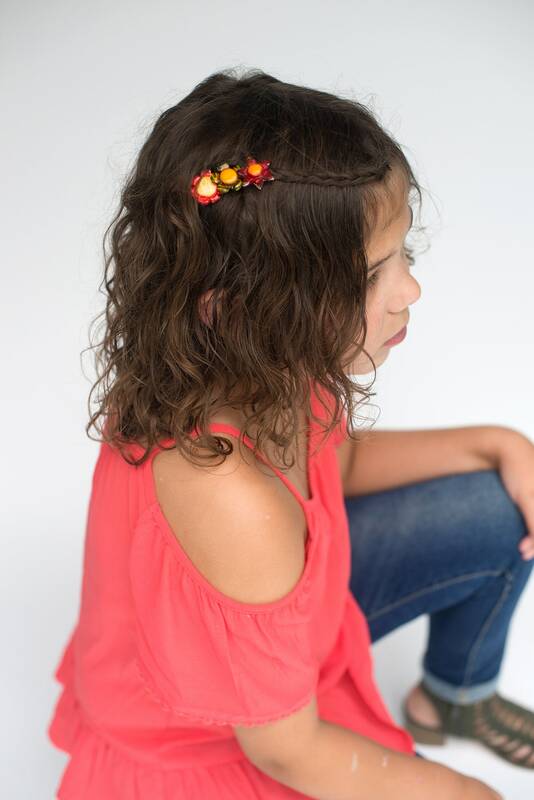 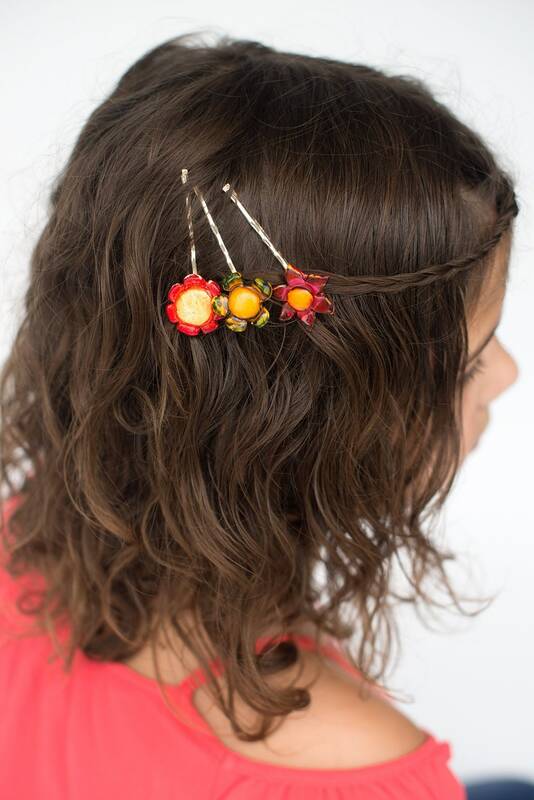 Beautiful Fall Colors, Flowers for your hair. 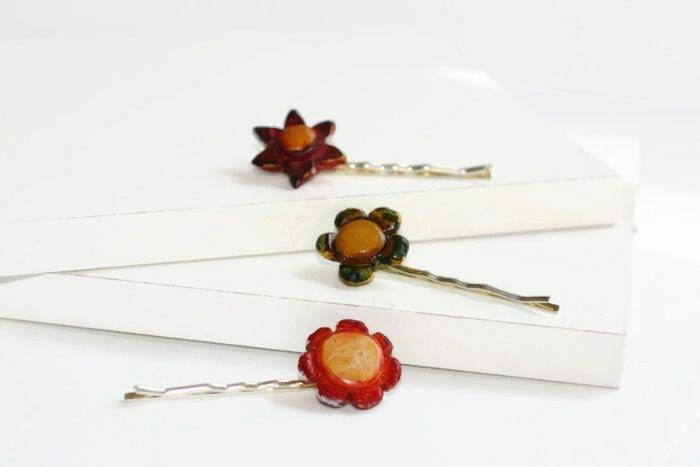 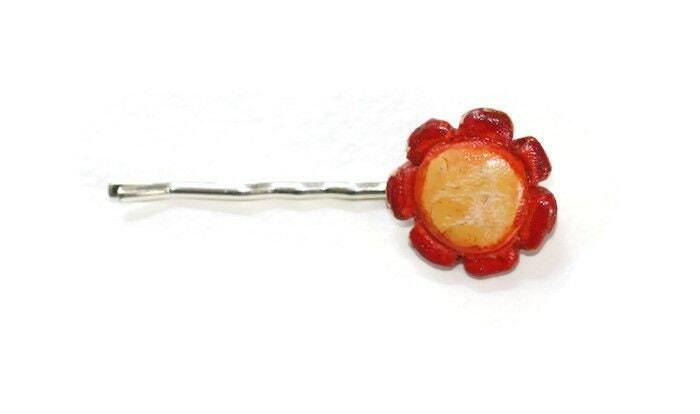 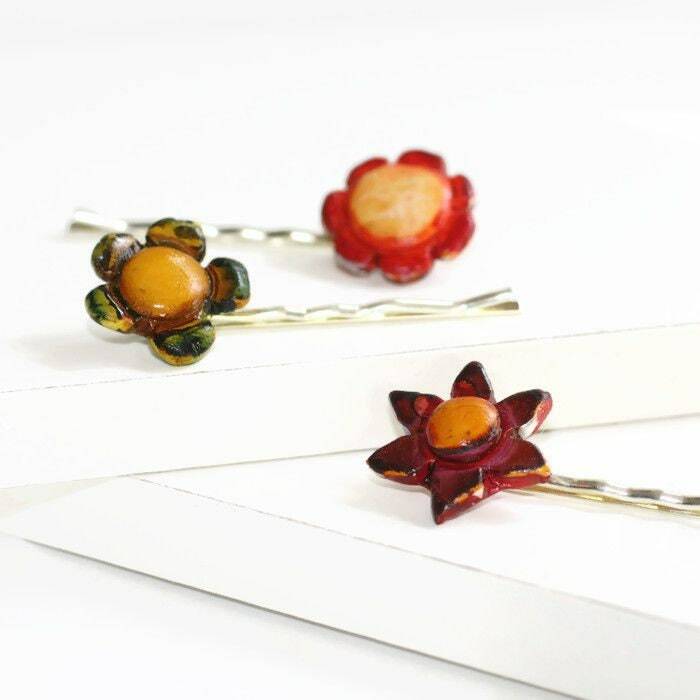 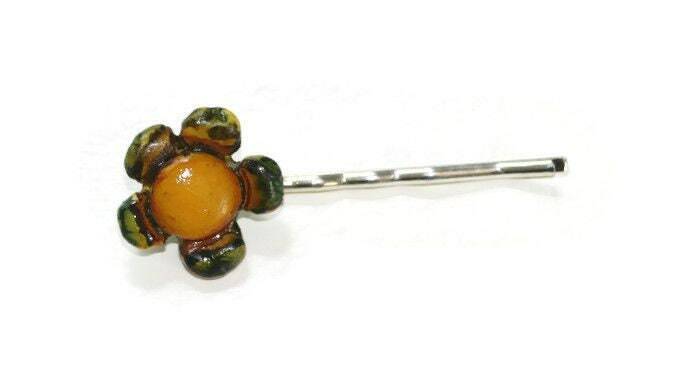 This is a set of three Earth Colored Hair Pins, you will receive a Star Flower, Sunflower and Daisy. 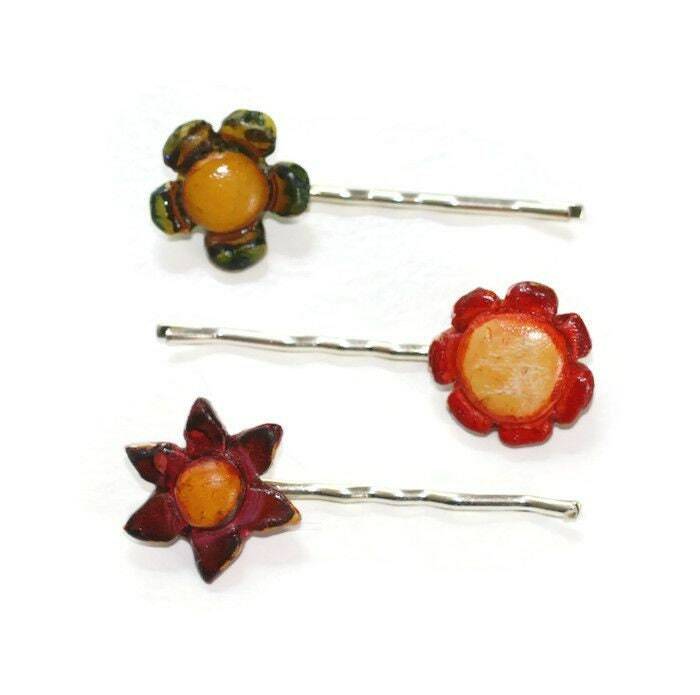 These pins are perfect for any hair style, mix with a Bun, Braid or Side Bangs. 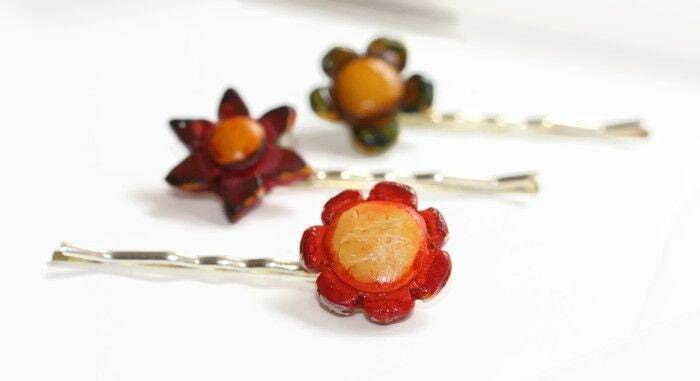 Each flower is hand carved from polymer clay, painted, then splashed with alcohol inks. 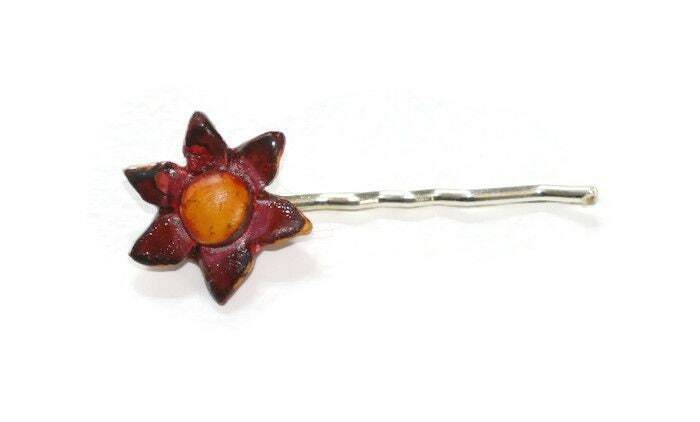 The final piece is glazed with non-toxic high gloss clear acrylic. 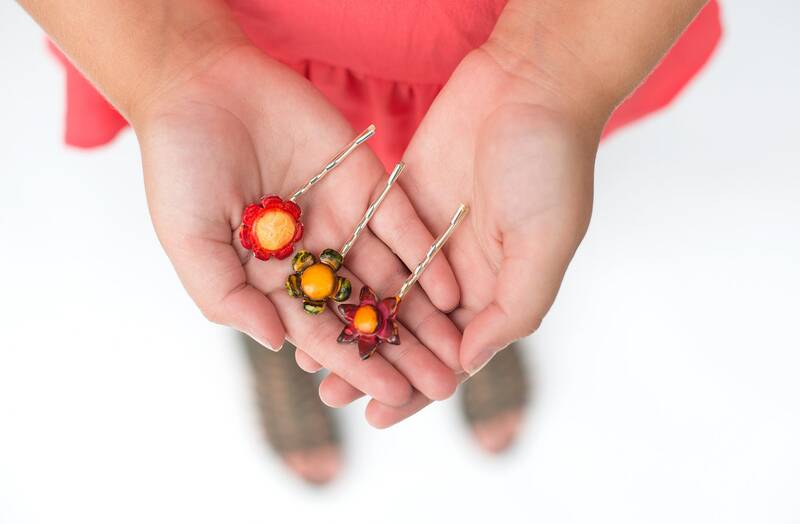 Each piece will be uniquely different, never identical.